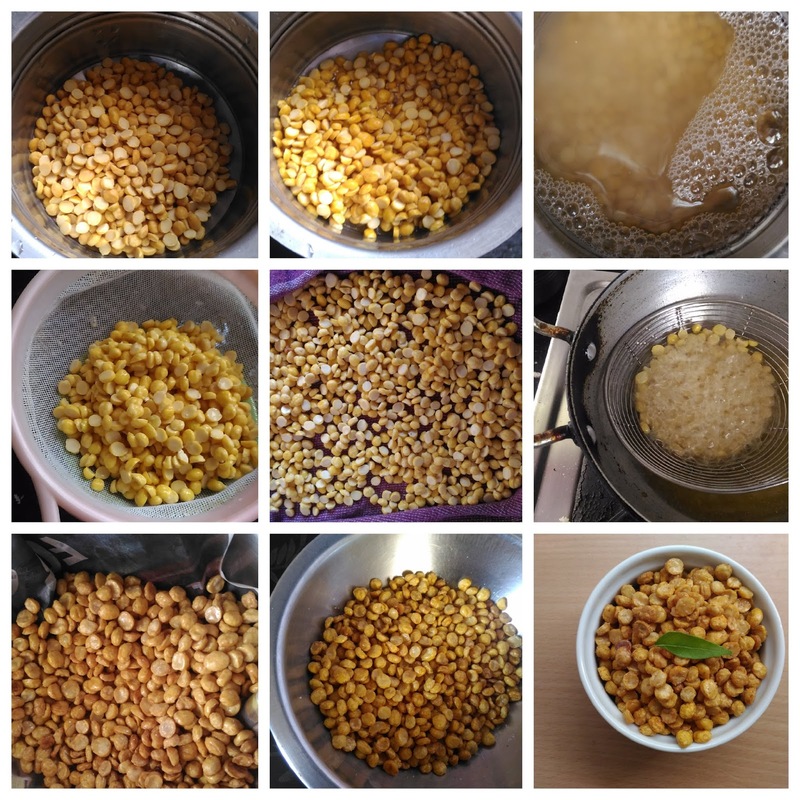 Want to prepare an addictive protein rich snack which you can’t stop eating? Nei kadalai should be your first choice. 1. Wash and soak the Bengal gram dal for 4-5 hour. 2. Drain the water completely using the strainer. 3. Spread the Bengal gram over the kitchen towel for 15- 30 mins or until the moisture is completely gone. 4. Heat the oil in a pan, add Bengal gram dal little by little. Fry them till they become crisp and the sizzling sound stops completely. Also the color of the dal should have changed. 5. Remove the dal from the oil and place the dal on the tissue paper, so that any excess oil is also absorbed. 6. After having fried all the dal, remove the dal from the tissue and transfer them to bowl. 7. Add Red chilli powder and salt. Toss them gently or mix them with spoon. Serve it immediately with hot coffee. Otherwise store it in a airtight container for later use. 1. 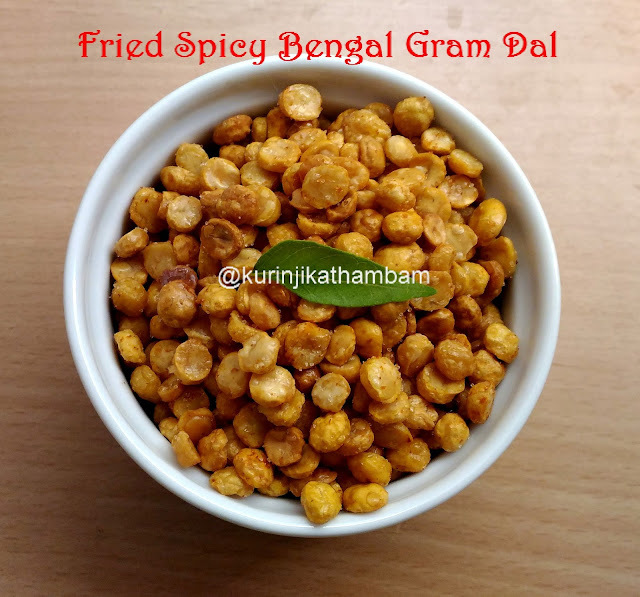 Don’t overload the oil with Bengal Gram. 2. If you didn’t fry the dal well, it will become very hard to munch.